Why Are So Many Enterprises Moving to the Cloud? The cloud revolution is in full swing as enterprises across the globe are moving to the cloud like never before. Gartner predicts that cloud revenues could grow by 21% in 2018, and the huge traction seen by cloud service providers is further evidence that the cloud is the future for data. There are many good reasons to choose the cloud over an on-premise database solution, but a few key factors are still holding cloud adoption back – the immense cost, difficulty, and time requirement of replatforming business applications, specifically. That’s why Datometry asked 166 IT Executives, specializing in databases, analytics, business intelligence, or application development, to share their story – we wanted to know what drove them to the cloud, what challenges were they facing, how long will it take them to replatform, and what their overall experience and aspirations were when it came to the cloud. What are the primary factors driving cloud adoption? Cost reduction seems to be the biggest factor driving cloud adoption, considering that about 61% of companies said it was their primary driving factor. Moving from an on-premise data warehouse like Teradata to a cloud provider like Microsoft Azure or Amazon Redshift is a great way to reduce CAPEX and OPEX in the IT budget, especially since adopting a cloud-first strategy sheds operations and maintenance. Another common driver, shared by just over half of respondents, was the desire to take advantage of new features and agility offered by the cloud. Only about 30% of respondents said they were moving to the cloud because their current data warehouse was reaching its limits of capacity or performance, which may tie back to the first point – expanding the capacity of certain on-premise solutions is extremely expensive and time-consuming, and it’s much easier and far more cost-effective to scale in the cloud. What are the most common challenges when moving to the cloud? While the cost savings and additional features of the cloud are obviously very appealing to enterprises, the cost and effort of moving their applications to the cloud are not quite as palatable. 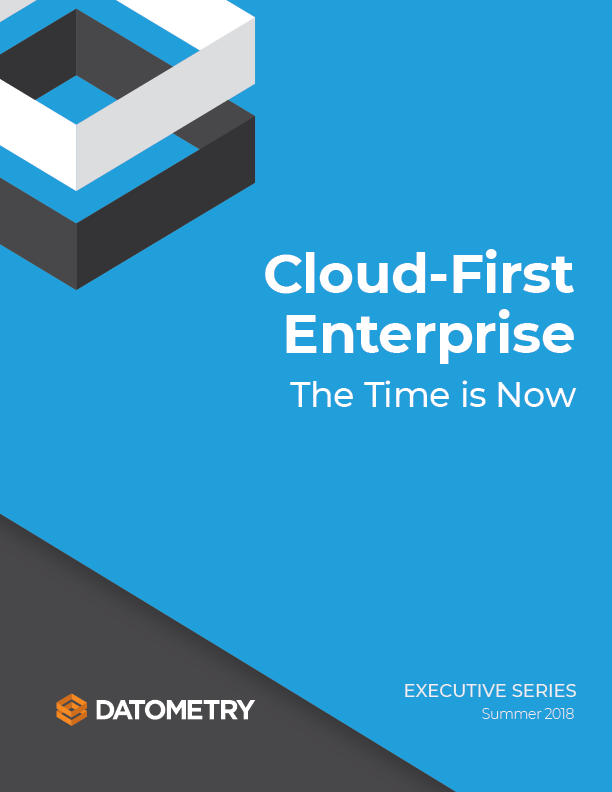 Over half of responding enterprises said that the cost and effort were the primary obstacles they needed to overcome in order to replatform successfully. A medium-sized replatforming project may take up to five years and cost tens of millions of dollars. Luckily, emerging technologies like adaptive data virtualization make it easy, so if we were to ask these same enterprises this question again next year, I wouldn’t be surprised to see this answer receive a much smaller share of responses. Even without new technology, enterprises who have successfully moved to the cloud say the savings, new features, and agility to innovate they gained were worth the money and time they invested. Which Enterprises are not Moving to the Cloud? Of the 166 IT Executives who responded to the survey, only 23% were not actively planning to replatform to the cloud. These were often enterprises who dealt with sensitive personal data, or classified and highly secure government information. Despite this, they often admitted that it was, “only a matter of time.” Cloud security is quickly surpassing on-premise security, and over half of United States Government agencies are already using cloud-based infrastructure. The recent ten billion-dollar Department of Defense cloud contract is further evidence of the cloud’s superiority in security. Over half of responding enterprises said that the cost and effort were the primary obstacles they needed to overcome in order to replatform successfully. In conclusion, the majority of enterprises are moving to the cloud – usually to take advantage of the massive cost savings, along with the new features and agility. The journey is challenging – while it’s easy to move data to the cloud, the technical effort and immense cost of rewriting business applications to work with a new cloud data warehouse are not to be taken lightly. Luckily, most enterprises are facing this challenge, often called the database migration paradox, and emerging technology like adaptive data virtualization is making the process easier by eliminating the need to rewrite altogether. A bold prediction: by this time next year, the 23% percent of enterprises who are holding out due to security concerns will be planning replatforming efforts of their own, and the difficulty of replatforming will have been reduced so significantly that there will no longer be an excuse to keep on-premise datacenters open. If you’d like to learn more about the survey and its conclusions, you can view and download the infographic here.